The cause of a skin rash may be obvious, or it may be frustratingly hard to figure out. There are some steps you can follow to identify the cause. Knowing the cause can also help you figure out the treatment. Skin rashes can come from something outside the body, from a disease inside the body, or from a problem within the skin itself. When the cause comes from outside, the rash usually represents either irritation or infection. Rashes from the outside. Irritation can be caused by harsh chemicals or by an allergic reaction. Fungal infections can start on the surface and settle into the skin. Bacteria can get in through tiny cuts or scratches and cause minor or major infections. Rashes from the inside. A viral infection such as chicken pox can be the cause of a skin rash. Many different viruses cause rashes, which can itch, ooze, or just look red. Many diseases, including diabetes, lupus, and others, can cause characteristic skin problems. Rashes from within the skin. Some people are born with genetic disorders that affect their skin, causing whole-body rashes that can be difficult to manage. Eczema is a more common skin problem, thought to be caused by over-zealous immune reactions within the skin. Is the rash in just one place, or all over? If it's just on your hands, you'll want to think about what you've touched. If it's only the skin your new sweater covered, maybe the problem is the wool. If it's all over, consider internal causes. Did you recently change your laundry detergent, soap, or other personal hygiene items? If you did, your rash (even a whole-body rash, if you've changed soaps) might be an irritation or allergic reaction to the new item. Does it itch? Fungal infections often itch. 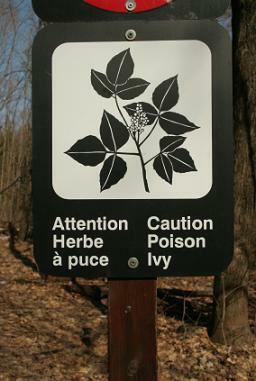 So do allergic reactions, including poison ivy. And of course, chicken pox itches, too. Does it hurt? Bacterial infections tend to hurt, sometimes a lot. The skin also feels warm to the touch. Do you have any exposure to chemicals or cleaning fluids? These things can seriously irritate skin. Are there any other symptoms? A fever can suggest a whole-body viral infection to match a whole-body rash. It can also accompany a serious bacterial skin infection. Other symptoms can also alert your doctor to other diseases that can be the underlying cause of a skin rash. Is it spreading? If a red, painful area is spreading, you might need antibiotics right away to prevent permanent damage. Doctors are used to seeing certain types of skin rash. Here are specific causes for some common rashes. Chemical irritant. Harsh dishwashing soap or other cleaning products can leave hands red, dry, and raw. It may take a day or so for this rash to appear. Chemical irritants can be a problem for factory workers, too. Eczema. Eczema is common in children but can appear in adults, too. It's a significantly itchy rash that can occur anywhere on the body. Common locations are the face, hands, inner elbows, and backs of knees. Scratching leaves skin reddened and raw. Allergic reaction. Poison ivy and poison oak are frequent causes of skin rash in the summer. The rashes can happen in winter, too, because the oils that cause them remain even after the leaves have turned brown. These itchy rashes consist of small, fluid-filled blisters. Cosmetics, bath soaps, and other products for the body can cause allergic rashes, too, usually without blisters. Metal allergy. An allergy to nickel or to other common metals can appear as a red or brownish patch which may be itchy. Earrings can cause this rash on the earlobes. The button on a pair of jeans can cause a rash near the belly button. Necklaces can cause a rash around the neck.